We can’t take it all with us is a duratonal performance by Rafa Esparza and Yann Novak created to inhabit Esparza’s exhibition They spent their time doing nothing. they let intimacy fuse them at the Vincent Price Art Museum. 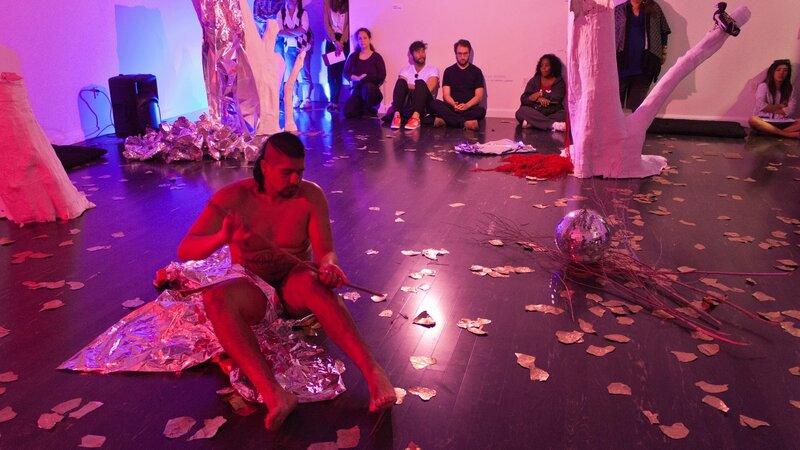 The piece incorporates sounds collected in Elysian Park when Esparza took Novak on a guided tour of sites encountered by men seeking anonymous gay sexual encounters. Through the duration of the gallery hours Novak used these sounds in conjunction with synthesized sounds to pull the feeling and atmosphere of the park into the gallery. 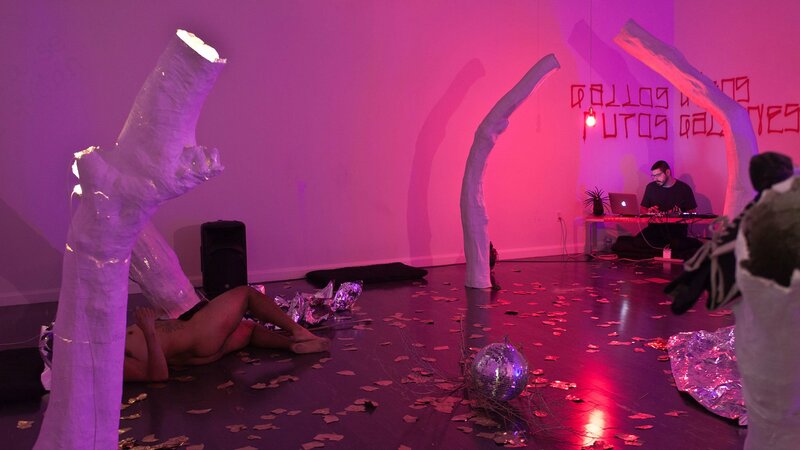 In preparing to encounter Novak’s work, Esparza brought objects and materials that were interchangeably keepsakes and props from “performance art” work as well as a treasured experience that was non-art related. 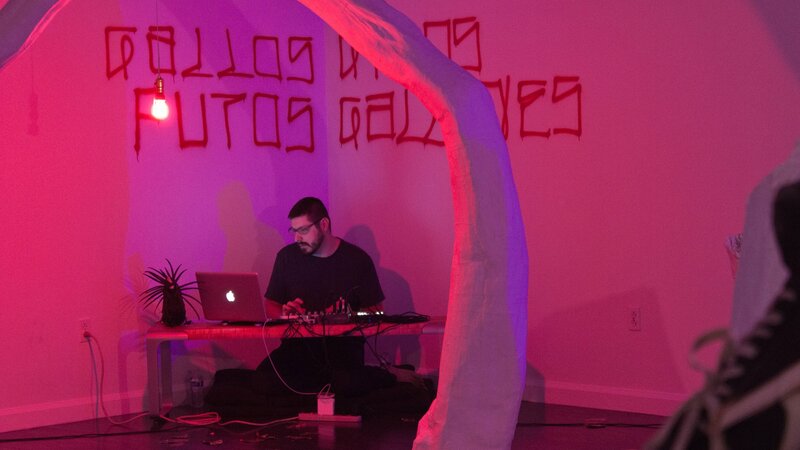 His presence in the gallery took form in response to both Novak’s sound performance and a re-membering of moments he spent in Elysian Park with Kate Gilbert, Nick Duran, Taisha Pagget, Felix Solano Vargas, Allison Wyper, EJ Hill, & Yann Novak. Museum goers were invited to ‘cruise’ the performance by entering and exiting as they please.